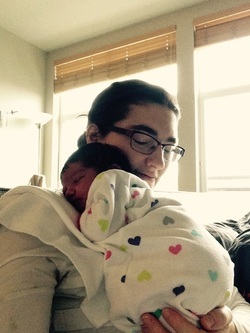 As a birth doula​, Megan supports a family during pregnancy, labor, and postpartum. During pregnancy she offers skills, mediations, education, and support. She's on call for your birth and supports you through the first couples of hours after birth. For postpartum she is there to help with the many questions, processing the birth, and extra hands to help. A postpartum doulaPostpartum Doula ​assists new parents immediately postpartum by offering emotional and informational support, as well as newborn and infant care. To learn more, please contact her or check out some of her classes to see if she would be a good fit for you. You can also check out her profile on doulamatch for information on the birth classes and postpartum support she offers! She also offers Blessing Ways. Please contact Megan with any questions. Traditional Chinese Method - placenta is steamed with all organic ginger, jalapeno and lemon, dehydrated, and encapsulated. Raw method - placenta is not steamed, just dehydrated and encapsulated. Placenta Tinctures - a quarter-sized piece of raw placenta is used to make an alcohol (100 proof) tincture for mom to use throughout her life. Placenta Prints - using watercolor paper, the placenta's details are transferred permanently before processing for capsules. Twins and Multiples placenta products. Cord Keepsake - the baby's cord is dried as a keepsake ornament. Placenta Smoothies - a dime-sized placenta piece is blended thoroughly with fruit and veggies to create a nourishing smoothie after birth. Other food products created upon request using the finished ground placenta powder. My training was done with Big Belly Services and along with my science background and passion for women's health I am always striving to meet the needs of mothers and infants with my variety of skills. I adhere to strict safety practices and follow OSHA guidelines. After working in research labs for many years this type of work is both fun and exciting to me! Most moms can use their placentas safely after birth, but there are specific conditions preventing safe consumption. If you have a question about the safety of ingesting your placenta please consult with your care provider and feel free to contact me as well - we can find answers! I believe in making life as simple and supported as possible for moms after birth. Offering these services is a way for me to help new moms find nourishment and support for themselves and their babies after birth. I always feel so honored to be a part of this amazing experience, thank you for your interest. My location is in West Seattle and I serve cities to the North, East and South of West Seattle up to an hour drive. If you have questions about your location feel free to contact me and if I can't help you I can help connect you to a Specialist who can. For questions or to book services please email Megan. Find me in the Find Placenta Encapsulation Directory and Doulamatch.com.